In short: Our goal is to design a backpack-like device that can actively assist balancing in persons suffering from sensory or motor impairments. Falling is the leading cause of accident-related injury among all age groups, but is particularly threatening among sufferers of conditions that affect motor control or result in sensory or cognitive impairment. Adults over the age of 65 are at great risk of serious injury during falling, and, in the event that the hip is fractured, have a 25% chance of dying from their injuries within 6-12 months of the event. Falling can also have a profound psychological impact. Even if physical injury has not occurred, loss of confidence can reduce mobility and, as a result, lead to decreased independence in performing normal daily functions and a subsequent withdrawal from social and physical activities. In many cases, the exact circumstances of a fall are difficult to predict and often come as a surprise; hence, to prevent falls, our strategy is to assist balancing in general, regardless of the reason for instability. Conventional means of assisting balance, such as walkers and canes, have the shortcomings that (1) their effectiveness is dependent on the ability of the user to detect when a loss of balance has occurred, which is difficult for people with sensory impairment, and (2) these objects must be held when in use, which means that they prevent the hands from performing other tasks and that constant use may result in developing excessive reliance or maladaptation. To develop a hands-free balance-assisting device capable of automatic detection and correction of instability, the field of wearable robotics offers great potential. Because many conventional robotic orthoses, such as exoskeletons, are too bulky and cumbersome for convenient daily usage by the elderly, we are currently developing a minimalistic and unobtrusive alternative. This device will take the form of a lightweight backpack-like corset (right) that can be quickly and easily mounted/dismounted and leaves the limbs free and uninhibited to allow comfortable movement in daily life. To promote healthy body dynamics, the device will provide assistance only when it is needed and will otherwise not influence the wearer’s motions. Contained within the backpack will be two actuators called control moment gyroscopes (CMGs) that, like reaction wheels (e.g. ETH Zurich’s Cubli balancing cube robot), are capable of modifying their angular momentum to impart a moment (torque) on a body. Like reaction wheels, CMGs consist of rotating flywheels, but the mode of operation is fundamentally different: rather than change the spin rate of the flywheel Ω to generate a moment, rotation of an outer gimbal (by angular rate γ' ) reorients the flywheel and produces a significantly larger gyroscopic moment, denoted by M in the figure to the right. Because this moment is orthogonal to the gimbal and flywheel spin axes, it is applied directly to the gimbal bearings, rather than the gimbal or flywheel motor; the implication of this is that, for a relatively small gimbal motor torque and power, a considerably larger output moment is possible, allowing for the construction of a lightweight, yet effective wearable device. Since initially proposing our device in 2012 (see [Li2012]), we have constructed a proof-of-concept testbench, as shown in the video below (see also [Lemus2014]). We have managed to accurately reproduce arbitrary moments in the intended range, and have demonstrated the feasibility of using CMGs to stabilize an inverted pendulum in a single axis. In the video, a single CMG is used to generate moments that simulate a virtual spring holding the inverted pendulum upright. The animation to the right shows a concept of the backpack and illustrates the operation of the CMGs. The green arrows represent the applied gimbal motor torques, which results in generation of gyroscopic torques at each flywheel (yellow arrows); by coordinating the two CMGs, the individual gyroscopic torques add together to form a net torque (red arrow) of the correct direction and magnitude to assist the wearer regain balance. 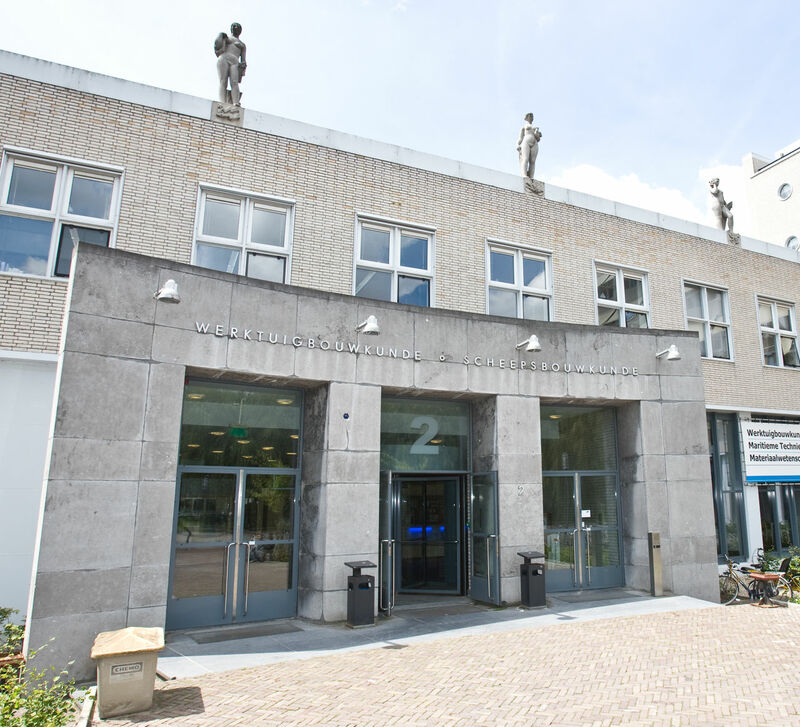 In our work we are pleased to acknowledge technical collaboration with Hyperion Technologies B.V. (Delft, NL) and partnerships with both Leiden University Medical Center (LUMC, Leiden, NL) and VU University Medical Center (VUMC, Amsterdam, NL) for feedback in designing the device and preliminary clinical evaluation. Formal clinical evaluation of the device will be performed in cooperation with the Shirley Ryan Ability Lab (formerly the Rehabilitation Institute of Chicago). This work is supported by the NWO Vernieuwingsimpuls VIDI. Funding for this work has also been gratefully received from the US Dept of Education RERC (Rehabilitation Engineering Research Centers) MARS3 initiative under NIDRR grant number H133E120010. MARS3 (Machines Assisting Recovery from Stroke and Spinal Cord Injury for Reintegration into Society) is a collaboration between the Rehabilitation Institute of Chicago (RIC), University of Illinois at Chicago, University of California at Irvine, Northwestern University, The Illinois Institute of Technology, University of Alabama at Birmingham, and the Delft University of Technology, with the collective goal of developing robots to restore function in patients and facilitate their return to society. Support for this project has also been provided through the Marie Curie Career Integration Grant “WANDER” (PCIG13-GA-2013-618899) and through Stiftelsen Promobilia (15135). [Li2012] D. Li, H. Vallery, Gyroscopic Assistance for Human Balance, Proceedings of the 12th IEEE International Workshop on Advanced Motion Control (AMC), March 25-27, 2012, Sarajevo, Bosnia and Herzegovina. [P1] H. Vallery, D. Lemus (filed 2015). Gyroscope for Balance Assist, Dutch patent application N2014927.